Healthcare companies operate to help patients, but few make patients feel that these large organizations care about their personal needs. But today, the healthcare industry is undergoing a major shift as patients have become much more empowered about their healthcare decisions. As a result, the traditional transactional nature of healthcare is progressing to a patient-first relationship where patients are in control and healthcare companies follow their lead. To help healthcare companies adopt this patient-centric approach, AdAge.com prescribed the following four tactics. 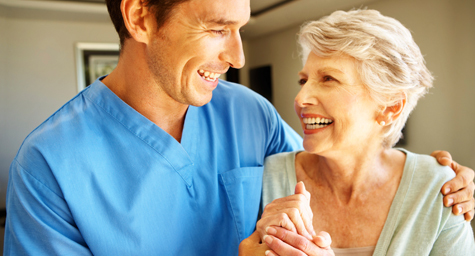 Patients keep healthcare companies alive and well, so they must be the focus of the business. From now on, always put the patient’s needs first and develop business strategies based on what is best for them. In addition, treat patients like members of an elite, private club and let them know how much you care about who they are and what they want. Every communication and interaction is a chance to make patients feel valued, so make the most of every personal and digital opportunity. Develop ways to turn every message and moment with the patient into an intimate point of contact that makes them feel special. People don’t want to deal with commands or condescension from their healthcare providers. To truly relate and resonate with patients, it’s better to show warmth, patience, and understanding about their concerns and challenges. This will make patients feel more comfortable with companies, which will earn their trust and loyalty. Use everyday, understandable language instead of technical, medical jargon. Get creative with communications instead of presenting a serious, solemn image. Develop user-friendly systems that empower patients and give them greater control over their healthcare. Encourage discussion, questions, and feedback in both direct and digital interactions. Try this patient-focused approaches to make patients feel good and help your company survive and thrive. Keep your finger on the pulse of healthcare marketing. Contact MDG Advertising. MDG Advertising, a full-service advertising agency with offices in Boca Raton and New York, NY, is one of Florida’s top healthcare marketing companies and branding firms, whose healthcare clients include Dental Care Alliance, MDVIP, Max Planck Florida Institute, HCA East Florida, Primary Pharmaceuticals, and MD Now. MDG’s core capabilities include branding, logo design, print advertising, digital marketing, mobile marketing, email marketing, media planning and buying, radio and TV advertising, outdoor, newspaper, video marketing, infographic development, website design and development, content marketing, social media marketing, and SEO. To learn more about the latest trends in healthcare marketing, contact MDG Advertising.